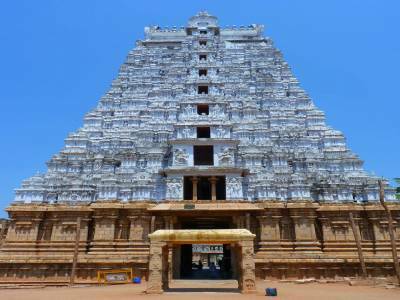 Located in the city of Srirangam, the Ranganathaswamy Temple is one of the largest Hindu temples in the world. 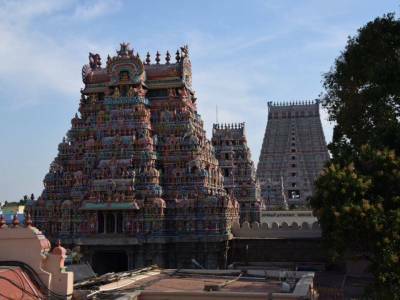 The temple is located about 325 KM from Chennai and just about 12 KM from Tiruchirapalli town in the southernmost state of Tamil Nadu in India. 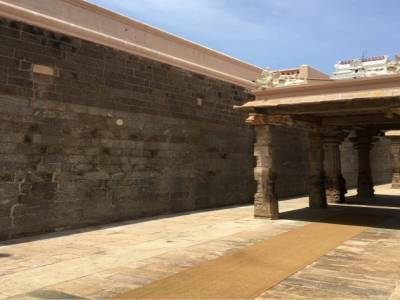 The temple is of great historical importance for it holds the key to many facts, about the late 1st millennium era of South Indian History relating the then prosperous dynasties like Vijayanagar, Pandya, Cholas and many more. The Ranganathaswamy temple is a sacred place for the Vaishnavites for it is temple dedicated to the proprietor of life, Lord Vishnu. Here the Lord is depicted in his reclining form of Ananta Shayam. The temple's exact building date is lost in antiquity still the mention of the temple in the Sangam Era literature suggests a time at the beginning of the 1st millennium. The temple is built in the most predominant civil construction style of South India the Tamil style. The towering temple top of the main temple with a similar gate structure makes the construction very powerful. The sculptures in the tower depict the 108 statues of 108 Divya Desams of Lord Vishnu spread across the country. 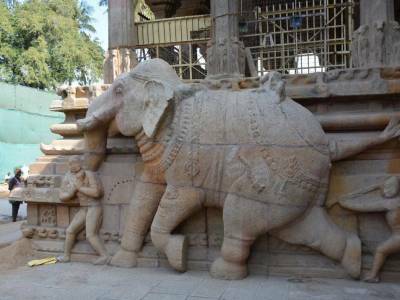 The Ranganathaswamy temple is a very import proof of historical facts. The location of this shrine on a river island between rivers Cauvery and Kollidam made it very vulnerable to natural calamity as well as from manmade ones. The location made it an easy target for camping during war and invasions causing plundering and destruction of the temple during Sultanate Era. In the late 14th century the temple was fortified with a great many new land and construction that stands tall till date. This temple has also been an active centre for propagation of waves of the Bhakti movement. This historical Hindu temple is a waiting listed UNESCO site and great tourism sector for it is well connected to major cities with rail and road and also has an airport nearby. 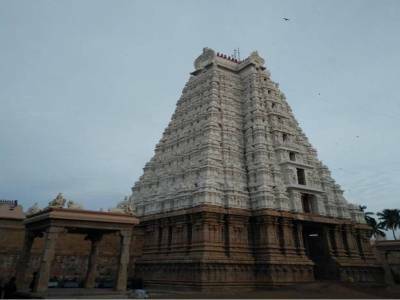 Get quick answers from travelers who visit to Sri Ranganathaswamy Temple.